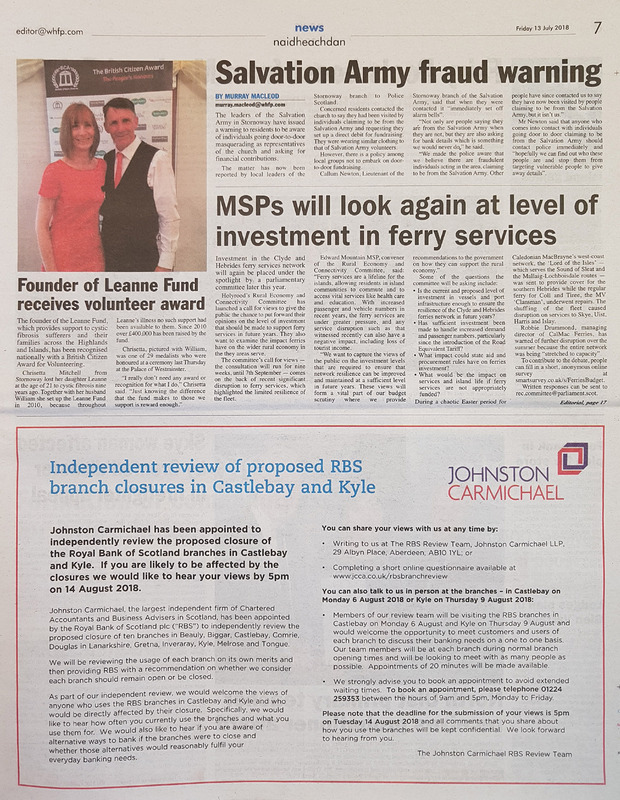 The following press adverts were placed in a range of local publications from Wednesday 11 July - Friday 13 July 2018. Publications with the highest circulation and readership were selected for each area. Click on the images below to see a full screen version. 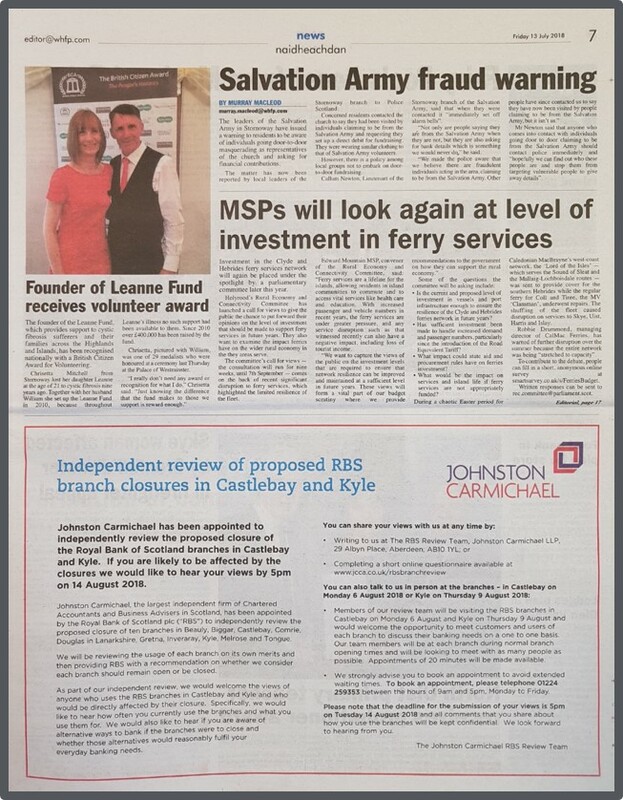 We have set up a dedicated landing page for our independent review of the ten proposed branch closures. Click here to go to this landing page. In this short video our Chief Executive, Sandy Manson, explains how the independent review of the ten RBS branches will work. 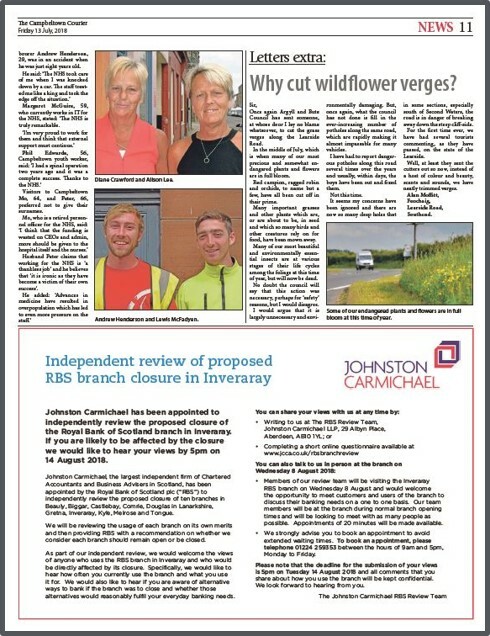 Johnston Carmichael has been appointed by Royal Bank of Scotland to carry out an independent review into ten branches earmarked for closure.